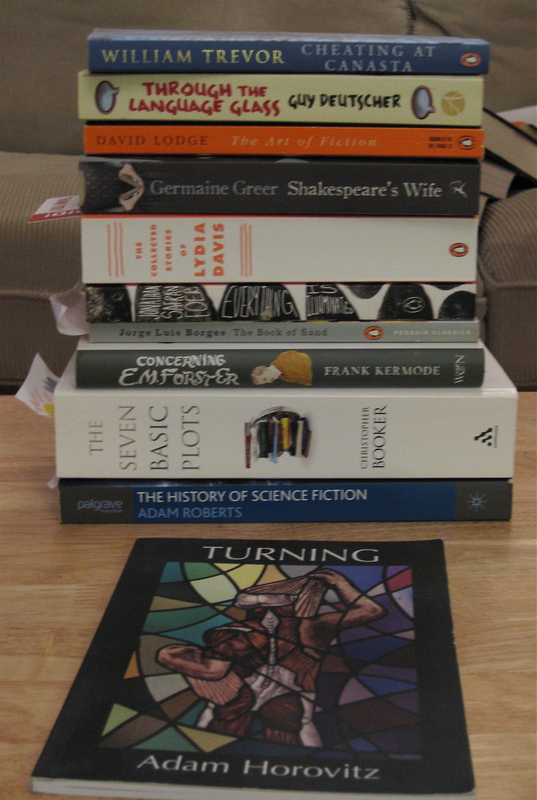 But thinking about books, in both the professional and the hobbyist sense, set me wondering about my reading habits. At the end of 2011 I posted this. 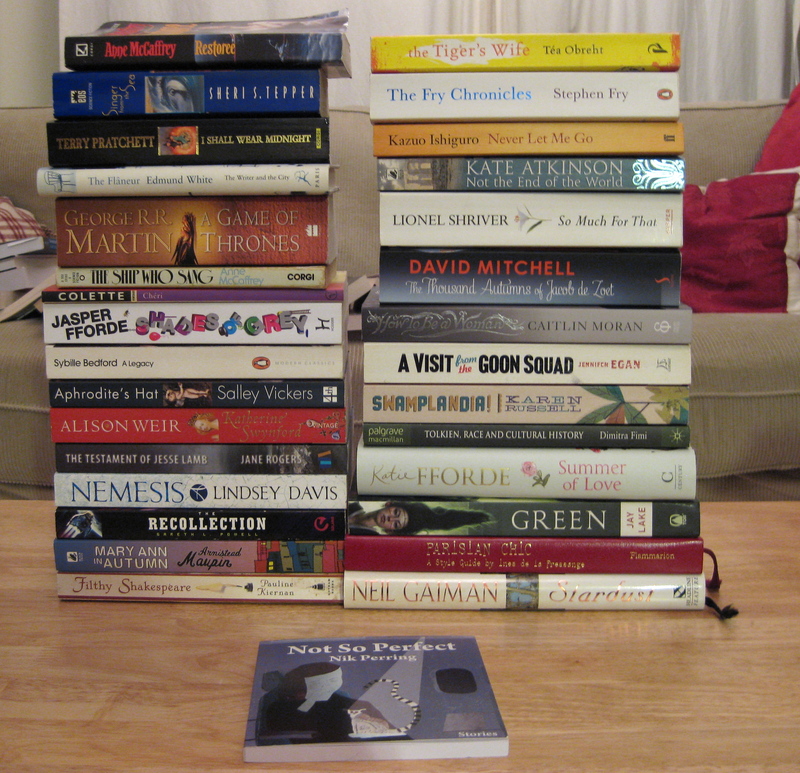 I was going to write a similar post at the end of last year, but when I gathered together the books I had finished, the books I am (still) reading, and the books waiting to be read, the only pile that had shrunk was the pile of books I’d finished. Which was depressing. But also, in a way, a significant achievement nevertheless, having spent so much of last year struggling to concentrate on anything. It still is a struggle. 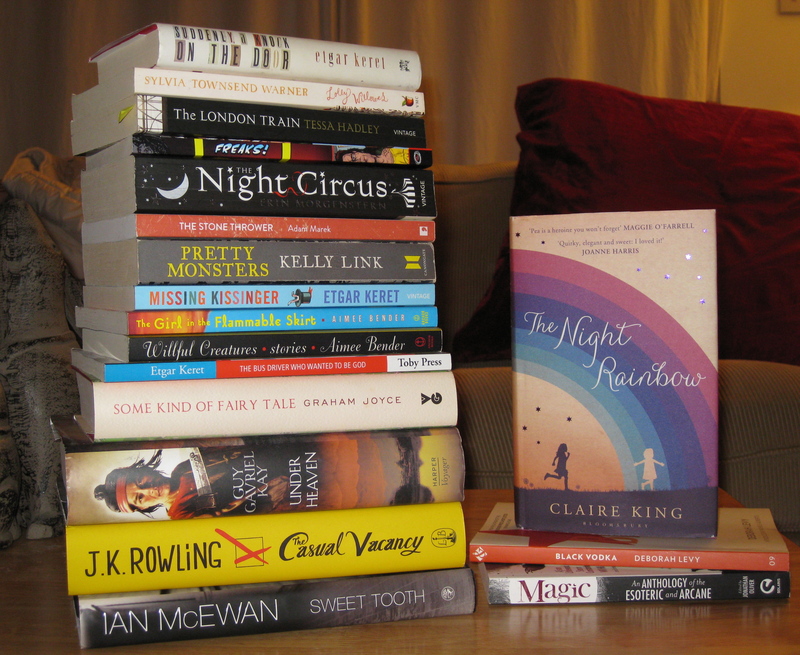 But in the spirit of celebrating reading, and because I enjoyed reading them so much, and because I think you all should too (that good, yes, although I had some reservations about the ending of Sweet Tooth), I herewith present the books I finished last year, and the ones finished this year so far. Tadah! Not visible is Dan Purdue’s short fiction collection, Somewhere To Start From. That lives in my iPad. Do read it. In your own e-reader variant, of course. 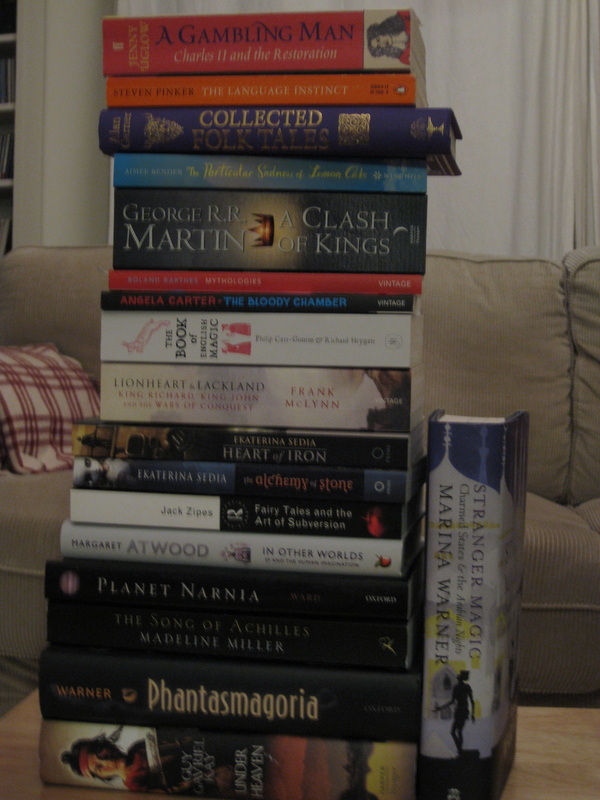 Also missing is Jeanette Winterson’s The Daylight Gate, which is on loan to a friend.